As much as I like Donald Trump, if I have to pick between him and the NRA, I’m with the NRA. If there was anything good in Trump’s move to the far political left with his fantasy talk about due process second after gun confiscation, it’s that he made the point for gun rights pretty apparent. What Trump had said to a bipartisan group of legislators during a White House meeting shocked me as it did many others and even considering that it might just be typical Trump talk to move an issue in debate, the fact that he even thought it proves a long-held understanding about the very nature of the 2nd Amendment. There has never been an administration that I trusted more, or felt that more closely represented my intersects than the Trump administration. I have maybe for the first time in my life a trust that my government will work for my interests as best as a Republic of representatives can. But even an administration, any administration, all through the history of our nation is prone to make mistakes and when those mistakes occur, it can’t be my life, or anybody else who should suffer. 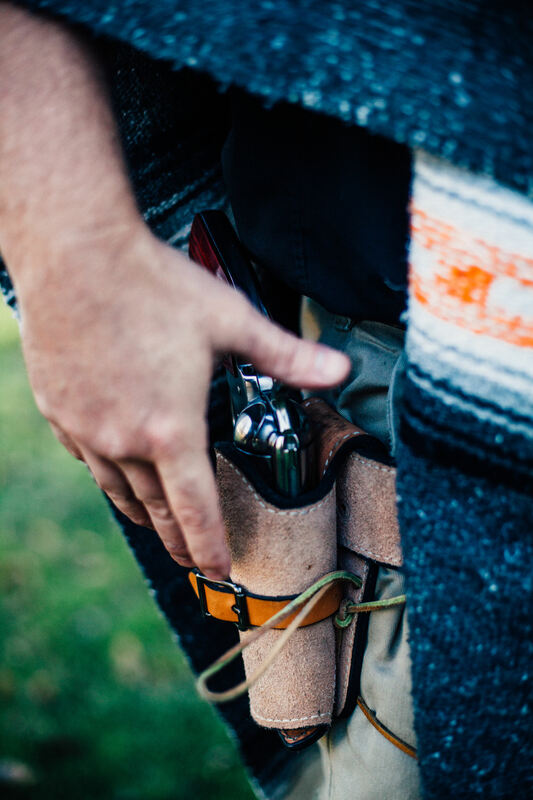 The gun protects private property—the efforts of a lifetime, whether it be a spouse, children, a dog or the contents of a home, car or business. Nothing in life supersedes the nature of our private property for which our lives are paramount in value. Over the years there have been many instances where the federal or state governments have done just as Trump suggested, which is probably why he thought he could get away with saying it–that if the police or military is called out to your home in the small hours of the morning, that they have a right to confiscate all your guns and whatever else they may wish and that they have the right to take over your life for which you must surrender willingly to for the “greater good.” There is no greater good than my life, your life, and the life of our neighbors. Government certainly doesn’t eclipse our lives and our possessions which are the products of those lives. It is the mutual understanding that the protection of property is a basic foundation of American existence which keeps everyone from killing each other, which is a basic concept from Adam Smith’s Wealth of Nations and is the very structure of American society. And the great equalizer of protecting those values is the gun, which is how the Second Amendment ended up in the Bill of Rights to begin with. To take away that basic right is to essentially destroy the premise of American civilization—which is why foundationally the political left wants to abolish the Second Amendment. Even though the typical leftist doesn’t know why they think what they do–as they’ve been taught without truly understanding the concept—their epistemological understanding of the world as liberals recognizes that through mob rule at some point they are going to want what others have and they want those others disarmed so they can then seize that property for their own consumption. For instance, in a surprising vote just a few days ago, South Africa’s National Assembly voted to evict white farmers from their land and seize their property, justified by the country’s past apartheid policies. The vote was led by Marxist activist Julius Malema, who is head of the political party Economic Freedom Fighters. They feel that the seizing of land is part of delivering justice to the discrimination black farm workers have faced in the past. Marxism has become a powerful political force in South Africa since the government abandoned its apartheid policies. Few realize it today but Nelson Mandela was a Marxist, and his political legacy that has continued among radical black activists who have followed him continue to erode away the basic foundations of South African society. Not that any form of discrimination is appropriate, but the lenses of history is always defined by the political groups that seize power at any given time. Thus, a weakness of any democracy is the concept that mobs can rule so far as a majority of everyone believes something, and they can then justify the acquisition of other people’s values at a whim—because they desire such things as a collective group. Using that logic what if a bunch of Seattle Starbucks customers sitting around sipping on their lattés decided that their lives were terrible because they spent all their time smoking pot, playing video games, and bitching about the world around them, and instead of taking action to improve their condition decided that they were going to storm out into the suburbs to take the homes of the wealthy people who lived there—because they had a need for which a majority of the losers desired? If they desired to do so, what keeps them from doing it? Not the police. Talk to a loser sometime, if you go into the inner cities and feel like killing a few hours of time, pick one and offer to buy them breakfast and listen to what they tell you. You’ll find that most people in such a state think just like Julius Malema does. Because of our liberal education institutions American society now has a lot of people who think in the way of traditional Marxists and if they want something, they don’t understand why they can’t just have it. Guns in our society allow for people to have different political attitudes without those forces being able to bulge into an ideology that robs individuals of their basic property rights—which represents foundational value. Without guns in America all the various groups that emerge under group association would impose itself on the unwilling without question. The wonderful thing about America is that just because there are elements of our society that is just as crazy as Julius Malema is, or Barack Obama, because we have guns and can protect ourselves from when those mobs of losers might arrive at our doorsteps wanting what we worked a lifetime to acquire, it is our guns which keep them from acting on their fantasies. The typical welfare recipient in America isn’t far from the thinking of even the craziest radical from around the world such as the South African Marxist leader. They want guns eliminated from society, they see bump stock bans, and assault weapon restrictions to be great policies in their favor of outright repealing of the 2nd Amendment. People in need, which is usually a condition derived from bad decision-making, always look with jealous eyes at those who have things in their lives worth protecting and without the ability of every individual from having the aptitude to protect themselves with lethal force, it is the only real stabilizing factor in our society that allows it to advance. Even as Trump suggested that the feds would have the right to break down our doors in the middle of the night and have their way with us because the government represents something bigger than our collective efforts, he need to only look at the American FBI and previous justice departments for why such trust can never be extended beyond the possession of personal firearms. If my door gets broke open in the middle of the night I don’t care who it is, or what court might have given such a warrant to intrude on my life—people are going to get hurt because I don’t grant power to any outside force that seeks to dominate my existence through government interpretation of the basic philosophy of individual will which governs my life. We know that the FBI didn’t want president Trump to settle into the White House and they used their power to attempt to stop that process from happening—by illegally obtaining a FISA warrant to build a case for impeachment before he could even move into the White House. America is a first world nation—really is the best of the best and we can’t trust our own government, let alone others around the world. Not even the Trump government. Even though it might work better with Trump in the White House for the next 7 years, eventually he won’t be there and we could end up with someone like Julius Malema running the country. Honestly if we weren’t a society in America of guns and the Bible I doubt that Barack Obama would have been much different from Malema. Their basic desires for life were very much the same. The difference is that every American farm is likely protected by the firearms of the owners, and nobody is coming to steal a few pigs for slaughter without having their lives threatened—which is the only thing that keeps the peace in such a world. This is a topic which could go on forever and I’ll likely explore it from many different angles. But the basic premise is that governments of any kind cannot be trusted and that they do not have the right to rule over us without some measure of checks and balances to counter their mistakes. Without that power to inflict pain back at those who are up to no good, any society crumbles. As gun grabbers point around the world to places like Europe and Australia and say that those places of gun restrictions are successful I would also point out that they have degrading societies that will not endure far in the future from this point in time because of the lack of value they have in the basic idea of private property. So as much as I like the Trump administration, Donald Trump is smoking crack if he thinks people like me who are his most solid base is going to stay with him if he talks like that. Rhetoric or not, talking about confiscating guns then entertaining due process is reprehensible. If that is the best that government can do, I’ll just take care of these problems myself, and because of gun ownership millions of us can say the same thing—which is why we have a society that is still functioning out of fairness, and kindness.